Looking for something fun and thrilling in Myrtle Beach, SC? Look no further than a jet ski rental. 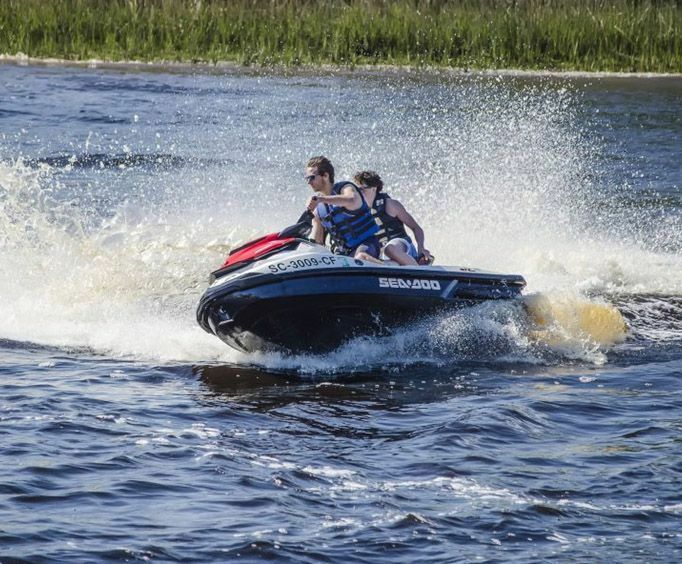 These heart-pounding adventures give guests the opportunity to have a blast while seeing the sparkling waters of the Intracoastal Waterway. Just a few of the landmarks and sights include beaches, backcountry views, and beautiful secluded islands. There are a variety of time slots offered, so no matter if you're looking for a quick activity to fit in before lunch or are wanting to make a day of it, these options allow accommodation for a variety of vacation types. As well as offering tons of fun, these jet skis are new every year. They provide immaculate and quality adventures to people of all ages, and the jet skis can fit up to three people. Whether you want to drive by yourself or bring your kiddo along for the ride, there is no better way to see the sparkling waters. Little River: 4430 Kingsport Rd Little River, SC 29566. Do not miss out on this fun opportunity for adventure the next time you are in Myrtle Beach, SC. 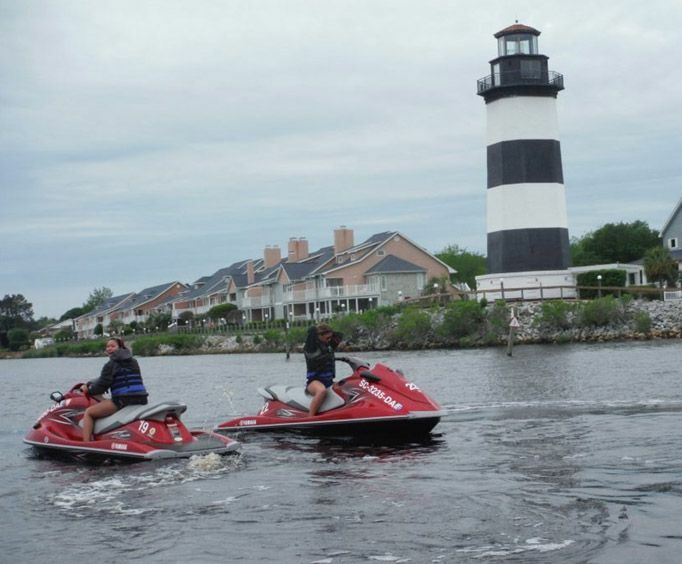 A jet ski rental is an amazing way to explore 20 miles of Intracoastal Waterway! 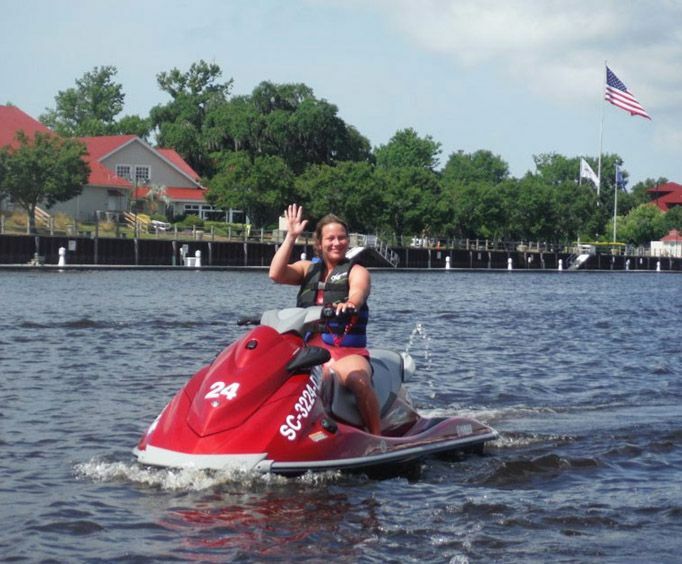 What is included in the admission price for Action Water Sportz Jet Ski Rentals? Includes jet ski rental for chosen rental period. Life jackets are provided. Is Action Water Sportz Jet Ski Rentals guided or a non-guided timed equipment rental? Swimsuits/casual clothing you do not mind getting wet. What age is Action Water Sportz Jet Ski Rentals appropriate for? Drivers must be 16 years old with a photo ID. Any age can ride as long as they are with a parent.